Along with a bunch of others this evening, I find myself featuring on a new website bringing together a whole melange of Irish blogs: www.irishblogs.ie. Nice job! 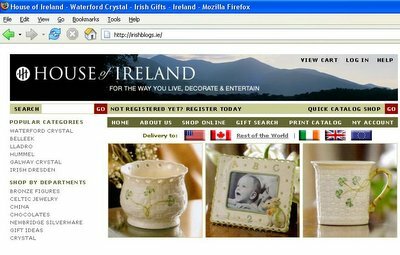 But don't try irishblogs.ie, because that goes somewhere completely different. :) Maybe they'll fix that up by the time you read this. Thanks for pointing that out. It's now fixed as you predicted.